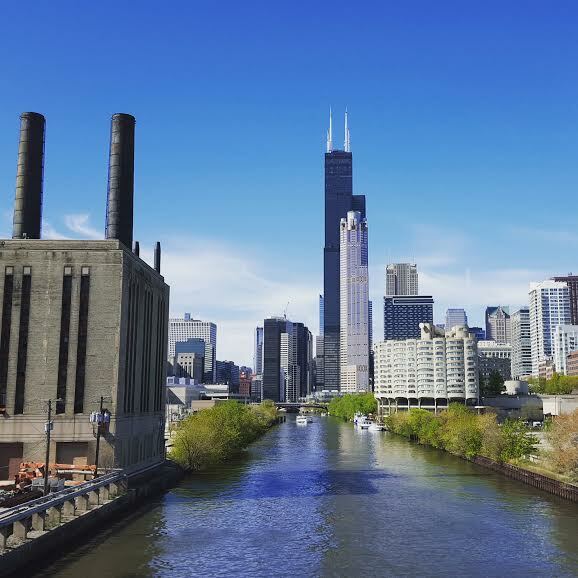 There’s lots to love about The Windy City – great food, Lake Michigan, endless summer events and lots of Yoga and FREE Yoga at that! Here’s a breakdown of the Best Chicago Yoga. Remember, New Student Specials need to be purchased on your first visit to the studio! This just might be the best deal in the city! This small neighborhood studio has only one room, but is loaded with classes that are as creative and lively as their names like “Turn it Up Dog”, “Rock your Core” and “Shut Up and Flow”. Watch for the weekly Power Up workshop style class and monthly O(hm)MG Flow both led by powerhouse Ali Wadsworth. This advanced vinyasa practice will inspire your flow and get you out of your comfort zone. Check out their FREE outdoor yoga class every Saturday morning from 8-9am through Sept 24! This boutique chain is often called a “yoga spa” with it’s crisp, clean look and pristine urban environment. Classes are alignment based, safe and an excellent place for beginners. No gimmicks, just solid classic yoga led by seasoned instructors like Jenna Reddington and Monica Bright. Balance your practice or nurse any injuries in their signature Deep Stretch class. If you’re looking to torch calories, start your day with Bootcamp – a non-stop hour of cardio, strength and stability building exercises to compliment your yoga practice. The studio name is derived from the six results you get from daily practice – leaner, calmer, stronger, braver, further and clearer. For a limited time, if you’re new to the studio, you get a completely FREE WEEK! Core Power Yoga – 1 FREE WEEK! With over 150 studios nationwide this busy chain has developed a name for hot, sweaty fun where you can “work every muscle and every emotion”. If you’re new to yoga try the C1 class to break it all down before flowing in C2, flying in C3 or pumping it up in Yoga Sculpt that is less yoga and more sculpt. 15 Chicago locations. Zen Yoga Garage – 1 FREE WEEK! Small well established studio in the heart of trendy Wicker Park neighborhood. Classes range from Hatha to Anusara-inspired and Vinyasa. There’s even Daoist Meditation once a week. More to come in the fall – Chicago Yoga Lab, OhmCulture, Moksha, Yoga Loft and many more! Got a favorite Yoga studio in Chicago? Let us know below! I am very interested to learn more and more about yoga courses in goa. Your site is very much helpful to give us latest information on yoga teacher training goa 2016. For those that live on the North Side of Chicago, Centered Studios is a great spot off the Morse red line stop that features a ton of family, meditative and offers holistic healing services. Not only is the first class free, but the rates are really affordable! This is the exact information that I was looking for. Thank you for sharing your expertise!